WALKS. There are some great walks/scenery around Bunclody. DRIVES. 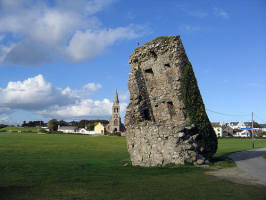 A suggested driving tour of County Wexford >>>. 9 Stones Drive >>>. TAKE YOUR PICK. 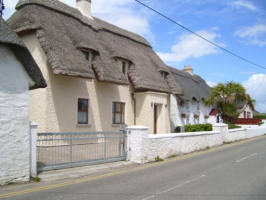 There are also some beautiful villages within a few miles of Bunclody. But for those who would like to travel further afield I will include some of my favorite places, all within an hours drive. All one needs is a good map. See suggestions below. Hold cursor over blue words for photo. 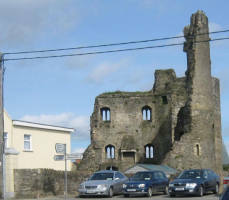 Ferns Castle. GPS N52.5911 - W6.4996. Ruins of 12th centaury castle and interpretive centre. Once the seat of the King of Leinster. There are also ruins of an early Christian abbey and church. There has been a recent discovery of an Iron Age burial place in Ferns, which at this time is still being investigated by archeologists from our national museum. County Museum. GPS N52.5014 - W6.5673. This is situated in Enniscorthy. 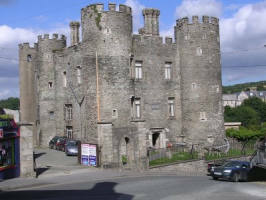 It is housed in a Castle and has items covering all events in our history. It also has a lot of old farm tools, old bicycles, old weapons etc. There is also a dungeon in the castle where one can contemplate the conditions of its former inhabitants. National 1798 Center GPS N52.4967 - W6.5697. This modern center gives a multimedia description of the Rebellion of 1798 in which over 20,000 Wexford people perished. It also has a gift shop and coffee shop. You may find more information by clicking here. Vinegar Hill GPS N52.5026 - W6.5522. This old volcanic hill provides a great viewing point for the town of Enniscorthy and surrounding areas. It is also a place where thousands lost their lives during the 1798 Rebellion. If you have the time you should drive up to the car park here, you will be well rewarded for your effort. 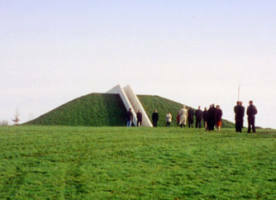 Oulart Hill GPS N52.507 - W6.3922. This is a monument to the 1798 Rebellion and has a good walkway from the car-park with granite stones along the walk inscribed with the names of the places where battles took place. Courtown. GPS N52.645 - W6.2286. This seaside village is usually packed during the summer weekends, but one can visit there anytime. I like to walk along the beach there on some of the sunny days we get during the winter. Dunmore Caves GPS N52.7341 - W7.247. 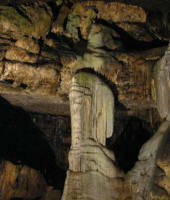 This cave is situated near Kilkenny City. It has some beautiful formations and is well provided for with safe pathways. J.F.K. Park GPS N52.3221 - W6.9309. This 250 hectare park to the memory of the late John F Kennedy, whose grandfather was born nearby, is now at a beautifully mature state. It is a few miles South of New Ross on the Campile Road. 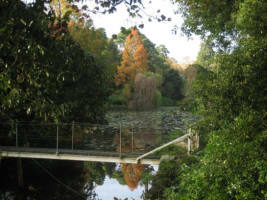 It contains a huge arboretum, visitor center, walkways, numerous types of gardens and a maze for the children to explore. 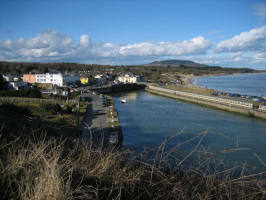 There is also a well surfaced drive up a hill that gives panoramic views of the Barrow, Nore and Suir estuaries. 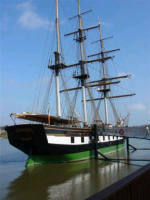 Dunbrody (Tall Ship) GPS N52.3942 - W6.9469. This ship is situated on the quays in New Ross, near where John F Kennedy's ancestors were born and where the late president made a speech on his visit here in the early 1960's. The ship is a full scale sea-going replica of the ship which was used to carry Irish emigrants to the New World during the Great Famine here in the 1840's. Visitors are more than welcome to visit this ship. click here to visit website. 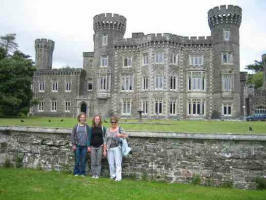 Johnstown Castle. GPS N52.2962 - W6.5060. This pristine castle has magnificent grounds to explore and admire. 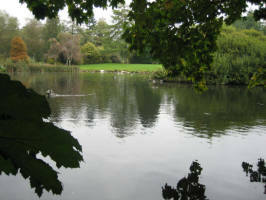 It has a couple of lakes and an agricultural museum. Make sure you have lots of film in your camera. The North Slob GPS N52.3561 - W6.4215. 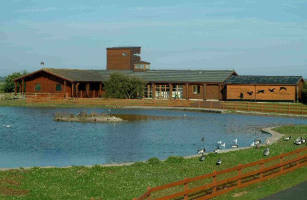 This is a famous bird sanctuary near Wexford town. It is a wintering ground for some rare geese and has lots of other waterfowl. Our Lady's Island GPS N52.2097 - W6.3804. This is an ancient and still used place of pilgrimage, but even if you are not religious it is still well worth a visit if you find yourself in the south of the county. 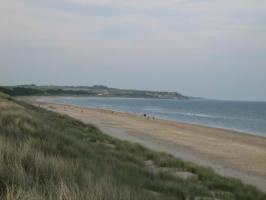 Beaches Along with Courtown, Wexford has a lot of other fine beaches at Ballymoney, Kilmuckridge, Blackwater, Curracloe. (probably the finest) GPS N52.3890 - W6.3653 , Rosslare, Duncannon and numerous other coves and bays that indent the Wexford coast. Hook Head. GPS N52.1244 - W6.9302. This headland has one of the oldest light-houses in Europe and has only recently been unmanned and automated. 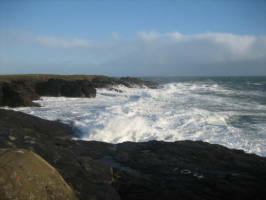 There is a lovely drive down the peninsula and some breathtaking views of the sea and rocks near the head. Rathwood. GPS N52.7956 - W6.6596. This garden furniture, household furniture and unusual gift retail outlet is much more than just a shop. It has examples of garden sheds, gazebo's, a children's playground, coffee shop, garden plants and much more. If you are interested in any of these type of things, then you will not be disappointed with a visit to Rathwood. It is about 2 or 3 miles from Tullow (County Carlow) on the Shillelagh road. It is also open weekends.